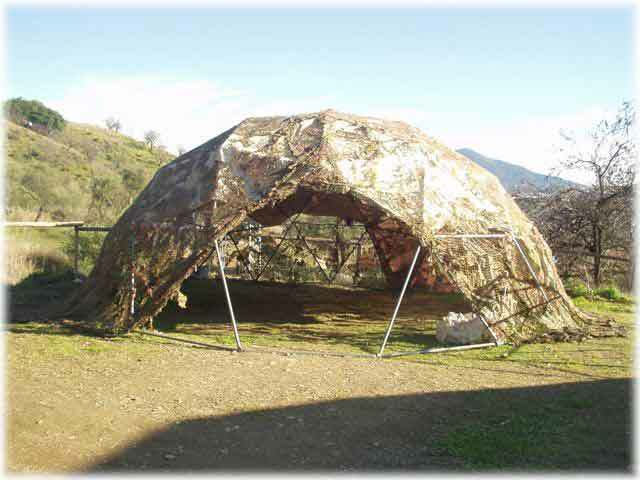 Blend your geodesic dome into the countryside and get more shade for the summer months at the same time. This is one for our domes recently supplied for a festival on the beach. This is one of our domes ready for a party at our workshop in Coin, Spain. 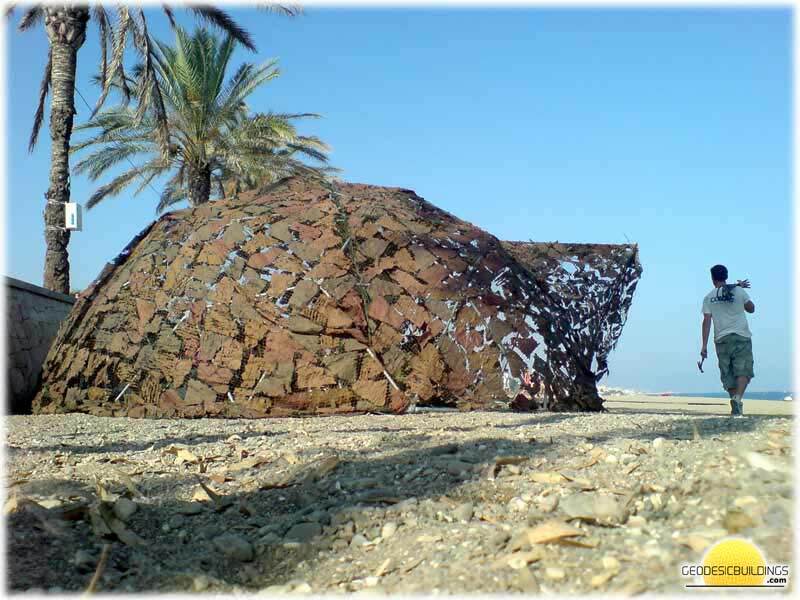 We do not currently supply camouflage nets but we can highly recommend Paypal if you are looking for one - We have bought several camo nets there without any problem.